Cotterell Carpentry are experts in complete kitchen installations – From removal of your old one to your new installed Kitchen, stress free, on time, on budget! We can fit your own kitchen from another supplier, as long as you’re confident it will all be there for us. Are you looking for supply and fitting of your kitchen or just to fit your own? We can supply quality trade kitchens with planning support, or just install the kitchen that you purchase yourself. 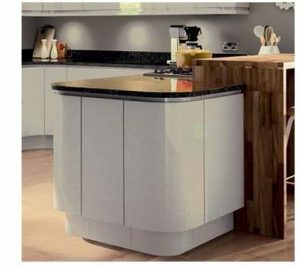 Bespoke (custom made) Kitchens – We can provide hand-made options to suit your requirements, styles, colours and custom-fit to fill those narrow or awkward places. Kitchen door replacement – If you have good, sound units why not just replace those tired doors for a complete new look at a fraction of the cost. Worktop Fitting/replacement – Laminate, Wood block, Granite etc. Specialist Carpentry and Joinery – Bespoke doors, storage problems solved, custom projects eg. wine racks etc. Trade services – Plumbing, electrical, ceramic wall and floor tiling. Flooring Service – all types of wood flooring fitted eg. laminates, hardwood, caber floor etc. We can follow and help you with your own designs or ideas. For more information or a FREE ESTIMATE please visit our contact us page.